Boats are incredibly useful additions to our lives as they allow us to explore some of the most peaceful parts of the world on the open water and they encourage relaxation. After a period of time and use, however, your boat will more than likely start to look a bit dirty as contaminants from the water and dirt particles from the air start to collect on the boat’s surface and the interior. When this happens, it is generally time to get to work detailing your boat with the aim of bringing it back to its former glory. In the following guide, you will learn each of the steps required to take in order to get your boat in great condition aesthetically. You’ll see the importance of simple things like proper vinyl protection, a quality fabric protection, and how 303® Performance Protectants and Cleaners are the solutions to keeping your boat like new. The first step to detailing your boat should always be to give it a healthy spray of clean water to remove any loose debris or grime from the surface. Start from the top of your boat and work your way down until you reach the bottom. This is just to remove the loose bits that are on the surface of the boat, this will not give it a complete clean. A good hose nozzle works here, but a pressure washer would be an added bonus. Once you have removed the loose pieces of debris and grimes, it is time to get to work on the more stubborn dirt on the boat’s surface. Using a specialized boat cleaner, such as 303 Boat Wash, get to work lathering the outside of the boat to agitate the grime. 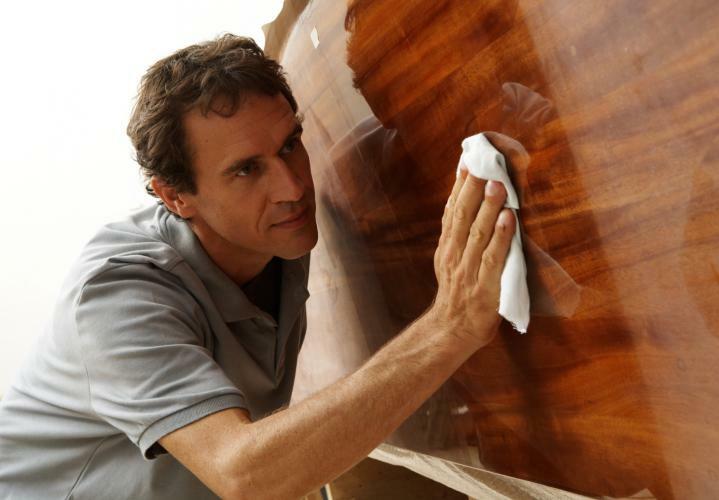 You should never allow the soap to dry onto the surface of the boat as you run the risk of doing damage to the finish and leaving horrible streaks. You should do small areas at a time, rinsing the soap off as you go before moving onto the next spot. You will be applying protective treatments later, but the quality of that protection relies on how good your cleaning preparation beforehand is. 303 Marine Multi-Surface Cleaner is safe on all parts of your boat including; Vinyl, Fabric, and Gelcoat. After a good boat cleaning, the outside surface of your boat should be looking much better, although slightly dull compared to when you bought it. To bring back the shine, you should get to work and buff out the exterior surface by hand or with a rotary buffer to remove oxidation and prepare the surface of the boat for the waxing stage of the detailing process. To really add that showroom shine to your boat, you absolutely have to apply wax to its surface. Not only does the wax shine up the surface to make it more attractive, boat waxing also protects the surface against debris and grime, meaning you will be required to detail it less often. Just like if you were waxing your car, you should only concentrate on small areas at a time, buffing off the wax as you go until the outside of your boat is gleaming in its pristine condition. 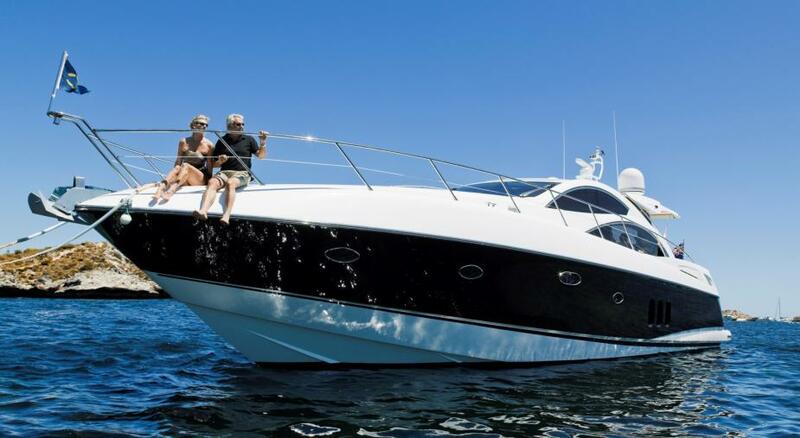 It is worth noting that specialized boat wax works much better than others you may purchase. This is because the boat wax is specially formulated to deal with the increased contact with water that a boat experiences compared to a car. To maintain that just waxed shine you can use 303 Speed Detailer in-between waxes to restore shine as well as add that all important UV protection. Once your boat is all clean and waxed it is time to think about maintaining that just detailed look as well as keeping your boat’s surfaces looking new. Boats are out in the sun all the time and it is necessary to protect your surfaces from harmful UV rays. Vinyl, Rubber, and plastics should get a coat of 303 Marine Aerospace Protectant, while all of your gel coat can be wiped down with 303 Marine Speed Detailer. Finally, any fabrics should receive a treatment of 303 Marine Fabric Guard to keep them from absorbing water and mildew build up. These simple tips and tricks will keep your boat looking new for years to come. Great article! Thinking of writing my own blog on my detail site. Looking through examples other people are writing about. This great very informative! are always tricky. I work really hard to remove water spots and streaks, but it is a continuous job. Any suggestions? I really enjoyed the article, you guys did a great job on breaking everything down. I just started my own boat cleaning service in Southern Cal and appreciate the suggested products. Thanks for all the valuable info! A debt of gratitude is in order for all the important information!